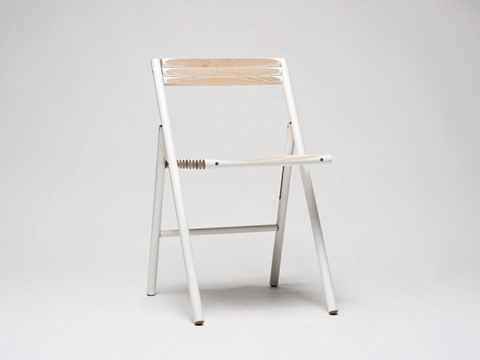 Steel chair, unlike its name implies, is made from solid wood. Solid wood that once used to be tool handles, broom sticks, or wooden handles of rakes, spades and flagpoles, all being 28 to 29 mm thick. 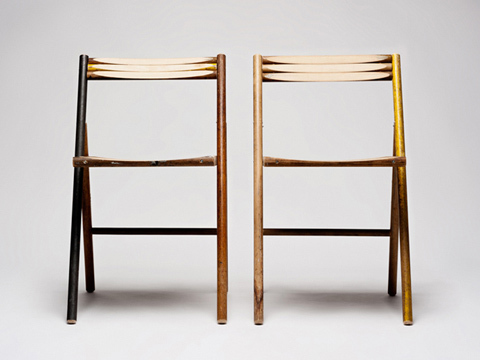 The color of this chair depends completely on how and where the tools were used, adding a different patina to the wooden texture depending on weather conditions for example. 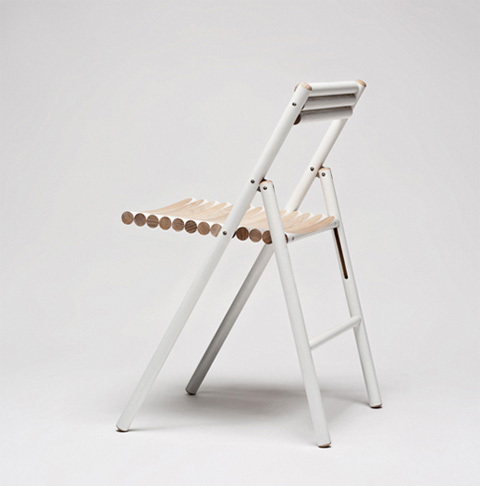 Steel is made from thirteen pieces of wooden handles for the seat and three more for the back. 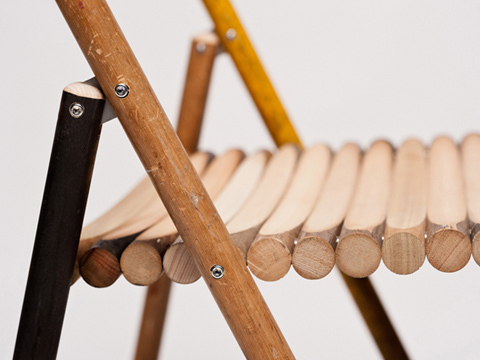 To offer plasticity in the design and ensure comfort, every stick has undergone a curved cut. This cut exposes a new, clean part of the wood, making a nice contrast with the used exterior. 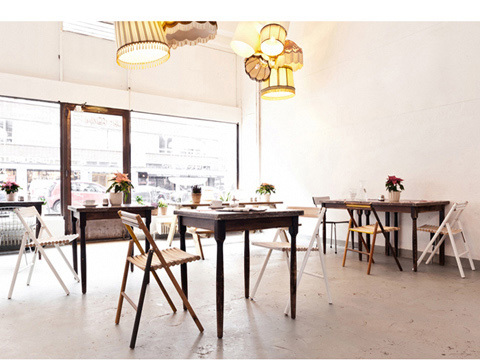 Except from its recycled and up-cycled version, to which we can contribute by donating our own no longer useful wooden handles, there is also a version made from new wooden handles, their exterior being painted white. However this model doesn’t include recycling, it is my absolute favorite for the beautiful marriage between white and the natural wooden texture. 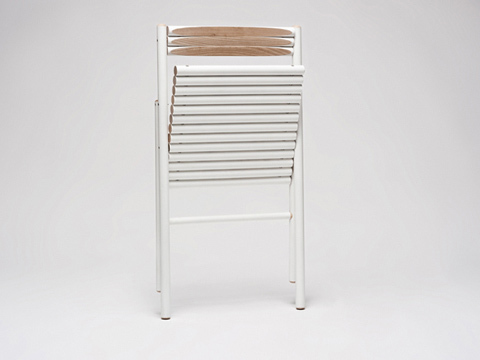 They are the perfect foldable chairs to add around the dining table for these extra guests or just take them outside during summer. 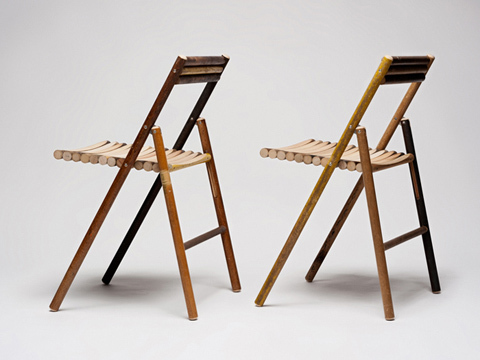 Each chair measures 46 x 47 x 77/46 cm. Steel is an outcome of Renier de Jong, a team of craftsmen such as furniture makers, technicians and suppliers who love what they do, putting all their hearts in it.